Poor Yoshi, he was never ready for fatherhood. It's daunting enough for most future parents and we get 9 months to prepare; he just had responsibility literally dropped into his lap. He has no idea what he is taking on, as I hate to break it to him it doesn't get easy. The screaming his new baby is doing every time he puts him down might be loud and shrill now but it will only get louder as they get bigger. Parenthood is a difficult journey at the best of times but that's even without an evil wizard and shy guys trying to stop you. Yoshi you really don't know what you're letting yourself in for. Clearly the story of ‘Yoshi’s Island’ is a contradiction filled re-working of the Mario origin story, but that doesn't stop it being one of the most charming and wonderful tales told on the Snes. Taking place before the event depicted in the original 'Mario Bros', twin babies called Mario and Luigi are being delivered to their parents by the stork. Somehow knowing who they are destined to become, evil wizard Kamek (baby Bowser's caretaker), kidnaps Luigi and causes the stork to drop Mario to the ground below. Fortunately Mario happens to land on the titular Yoshi's island, where the friendly dinosaur decide to reunite the baby with his brother and send them back to their parents. It is another tale from the beautiful mind of Shigeru Miyamoto, the creative powerhouse behind all significant Mario games. This includes 'Super MarioWorld' a Super Nintendo launch title that is generally considered one of the best games of the console's entire life cycle. This game was however often said to be little more than 'Super Mario Bros 3' painted with 16 bit gloss, some Miyamoto himself even admitted. The problem with games falling into genre classifications is that it's easy to identify generic traditions and tropes. When a new entry is released the same style of game still existed before it and so you unconsciously or otherwise look for the things that are new or improvements. 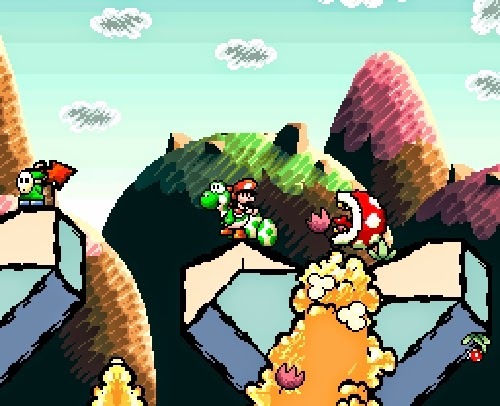 Like 'Super Mario World' before it ‘Yoshi's Island' exists within in the 2D platform genre. Both games take what had existed before as a starting point and building upon it till they had become something sensational. "There is something to be said for creating a masterpiece within the rules of an existing formula", Nintendo Life astutely observed in a ‘Yoshi’s Island’ retrospective. "Inventing something and perfecting it are often at different ends of the spectrum. Though the platformer had been around for over 1.5 decades, it took a long-tongued dinosaur to perfect it." Though many had tried to top 'Mario World' (and some like the 'Donkey Kong Country' came close) no game existed until 1995, that was ever considered to be on par with the Super Nintendo launch title. In the end it took Miyamoto himself (along with designer director Takashi Tezuka) to create a game equal to his former creation 'Mario World'. Indeed, that game would even carry the subtitle "Super Mario World 2". It's a name drop that is there undoubtedly to remind a paying audience of one of gaming's biggest franchises though. After all despite sharing iconic characters and an expectations of the player to move across platforms from left to right, ‘Yoshi’s Island’ really is nothing like a traditional Mario game. While it features Nintendo's well known plumber this is actually the first platform game in the Mario series where it's not possible to directly influence his movement. Instead the players controls his Yoshi dinosaur steed a charter introduced in this game's supposed sequel 'Super Mario World'. However to call Yoshi an individual after seeing the end of that prequel is hugely inaccurate. 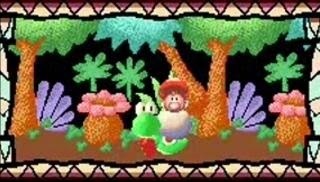 In much the same way as it's rewriting the Mario origin story, ‘Yoshi’s Island’ also expands significantly on the idea that Yoshi, once considered to be a unique, is in fact one of many identically looking but differently colour dinosaurs. Unlike 'Mario World' where Yoshi changed colour according to ability, all these Yoshis have the same range of moves, such as stomps and tongue-licks. If the player holds down the jump button they also flap their feet frantically in the air to achieve a floating effect; this allows them to stay airborne for a couple of seconds and gain a little extra height. These are new ideas for the series, but not rapid departures, for that you must look at Yoshi's ability to throw eggs. Accumulated during the adventure, eggs are obtained either by finding them on the floor or by performing an act so horrific it's a wonder it made it into a family game. The majority of foes can be eaten by Yoshi, digested and then excreted in egg form. When the process is thought about in any degree of detail you realise just how horrific a fate this is for anyone who falls foul of a Yoshi tongue. Note how they struggle when encased I an egg partially digested and imprisoned against their will. Regardless of the method used to acquire them, these reluctant eggs follow Yoshi devotedly until they are thrown at a different foe. Egg projectile death is a much less horrific way to rid a level of enemies, but that's not the limit of their use within ‘Yoshi’s Island’. 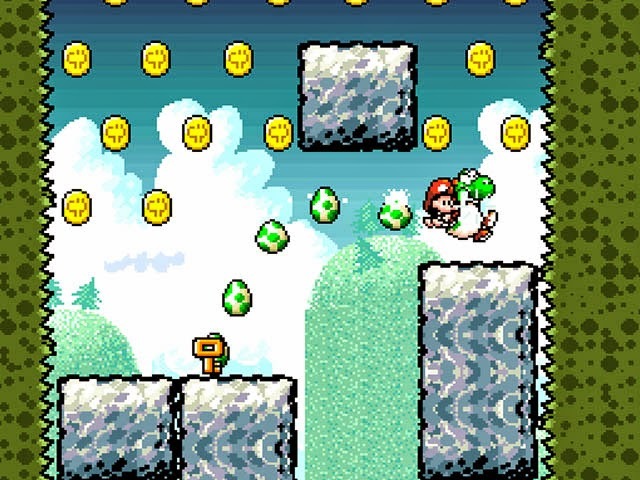 Many of the game's puzzles also involve ricocheting eggs around a space or skimming them over water to hit distant enemies or switches. In ‘Yoshi’s Island’ it is eggs rather than mushrooms that decide your success or failure. But this egg mechanic is not the only offbeat idea on offer in this not very Mario like 'Mario game'. 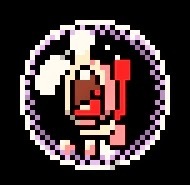 Unlike other platform games in the series, the player's character can be attacked an unlimited number of times by most enemies without harm. Yoshi regardless of palette would be invincible we're it not for instant death spikes or fire. 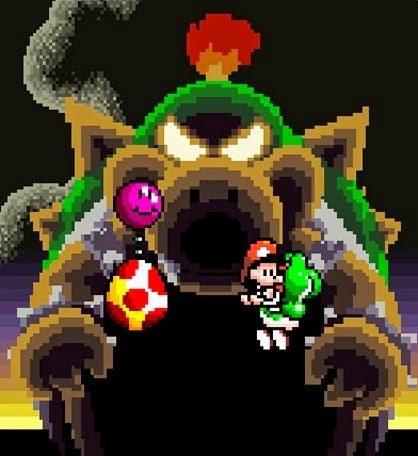 However should Yoshi come into contact with an enemy though he is unharmed he loses his newly adopted son, as Baby Mario is thrown from his back and encase in a bubble (imprisoned in a way that others are trapped within eggs). With the tiny helpless baby floating around the level wailing uncontrollably, a countdown timer begins. If it runs out before Yoshi steps up to his parental responsibilities, Kamek's servants capture baby Mario; a life is lost and Yoshi must wallow in the guilt. There's little in this world that can inspire panic in a parent's heart than the desperate cries of a baby. People may talk about Ethan Mars' terrifying shopping centre hunt for his son Jason in 'Heavy Rain' but it's clearly a scene that has practically been lifted straight out of ‘Yoshi’s Island’ - albeit with less origami serial killers and more smiling flower collectables. Of course this flower collectable too encapsulates how different ‘Yoshi’s Island’ is from other Mario games, in visual aesthetic as well as play style. The environments of a Mario has always been beautiful, clean crisp and bright. They are a marriage of form and function, pretty but precise. The world that the developers draw us into in ‘Yoshi’s Island’ is different, one of childlike beauty, messy creativity, and unique whimsy. Nothing had looked liked ‘Yoshi’s Island’ before and its look is (in part at least) the result of a stubborn rebellious act from Miyamoto. Originally it is said that the game was going to resemble a more traditional look, evidence of which can be found in the released game ROM. There are several unused sprites taken from 'Super Mario All Stars' that do not reflect the crayon drawn aesthetic of the rest of the game. Legend has it that this early version of the game was demoed to Nintendo's marketing department, which rejected it due to the visuals "lacking punch" in comparison to 'Donkey Kong Country's pre-rendered 3D sprites; a look which were at the time setting the world alight. Work was consequently started on a 3D rendered art style which can still be seen in the games introduction and game over sequences. However, these were to be the only 3D-esque graphics made. Unhappy with the look and after making derogatory comments about 'Donkey Kong Country', Shigeru Miyamoto made a rather dramatic design decision. Rather than simply follow the current graphical vogue, ‘Yoshi’s Island’ would instead embrace the pixel aesthetic, deliberately looking more "cartoony" and childish than any mainstream Super Nintendo game before it. Considering how stunning the end result is this striking art direction was then accepted by those who had originally insisted on the very opposite. Despite its prompt this aesthetic in some ways marked the beginning of an evolution in Nintendo game design. Instead of always chasing technological advance, Nintendo started to let creativity be at the forefront. Trying something new and rather than copying everyone else, a stance that is encapsulated in their Wii console. There's beauty in creativity just as much as there is in marvellous new techniques. Nintendo Life website puts it beautifully. "Yoshi's Island is a reminder of why this silly little hobby of ours is so wonderful... if what Miyamoto and Tezuka crafted isn't a work of art, then the definition of "art" needs to be amended." Much like the art style, never has a Mario platformer been so divisive. Though the quality of the game was applauded, many considered it inferior to the Mario games that came before. For example ‘Yoshi’s Island’ may have placed 185th in Game Informer's "Top 200 Games of All Times", but it was the lowest ranked Mario series game. Edge Magazine though disagreed, saying the game is "as playable, challenging and entertaining as the best of the other Mario games. All the qualities of the [series] are present in ‘Yoshi’s Island’, and it safely leaves every other platformer in its wake". It punctuates the point that even ignoring the fact it's got Mario in it, 'Yoshi's island ' is platforming perfected. From the hundreds of quirky ideas (such as swallowing a watermelon to get a rapid fire gun, or getting "dizzy touching something fuzzy"). Through the graphics which while charming are also technically underappreciated (the chain chomps munching through stages are a site to behold). Right down to Koji Kondo's fantastic soundtrack (with its music box twinkles and catchy melodies) everything about this game is a pleasure. The big money question of course is; "is it better than 'Super Mario World'". Like a father having to choose between his two children, I can't say which I love more. Two ‘Mario games’ that follow the basic template of the platform genre, but are alike in name only. They look equally pretty, are both different personalities and different characters but I love them equally. Like new Daddy Yoshi I'm happy having baby Mario in my life and enjoying the adventure that parenthood brings. It means embracing something that's occasionally challenging but always adorably childlike, sometimes surprising and ultimately wonderful. Why did I get this game? The subtext of this post is hardly subtle; I got ‘Yoshi’s Island’ because it reminds me of my two daughters. I bought it mint condition on the day my youngest was born and wrote about it at a time when my oldest needed me most. At times of hardship in life, retro gamers are lucky. We have a hobby that we can immerse ourselves in and distract ourselves from a real world that troubles us. It's testament to the game that at a time in my life that was both physically and emotionally draining I could play ‘Yoshi’s Island’ and smile. For that reason (and because it's a game with babies in - and I love babies) it was cheap at twice the price I paid.